Termites in Spring Hill are causing major problems for unsuspecting homeowners this year. As we’ve carried out termite inspections in Spring Hill and Thompson’s Station, Bug Authority has observed an increase in termite activity and damage in the Spring Hill and Thompson Station areas this year. This is due mostly to the age of most subdivisions in Spring Hill but also, in part, due to decreased soil poisoning by builders during new construction. Homes in Spring Hill and Thompson’s Station with the highest probability of a termite infestation are between five and twelve years old. With the tremendous growth Spring Hill and Thompson Station has seen in the last decade, it’s no wonder we are seeing an increase in termite activity and damage as we carry out termite inspections. Moreover, slab homes are the highest statistical homes to get costly termite damage and many subdivisions in Spring Hill are built on slabs. If you live in Spring Hill or Thompson’s Station it’s very important to have your home treated before termites enter the home as termites leave a pheromone trail for other termites to follow. 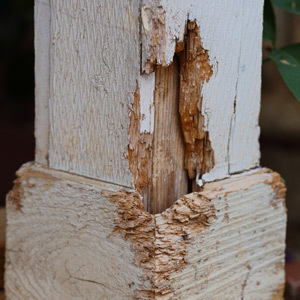 Termites only need 1/64 inch crack to enter a home and many homeowners are unaware of how easily termites can access their home and begin doing damage. Without a termite protection plan already in place, this damage can be costly and frustrating to repair. Why Get a Termite Inspection for Your Spring Hill Home? Conducive conditions also play a large role in why many Spring Hill homes are experiencing termite problems. Hardwood mulch around the structure can draw termites too close to the home. Stacking firewood against the home or storing wooden landscape timbers under a deck can also attract termites. Bug Authority recommends homeowners to utilize Bug Authority’s courtesy termite inspection to identify all conducive conditions around their home to help keep their homes termite free.